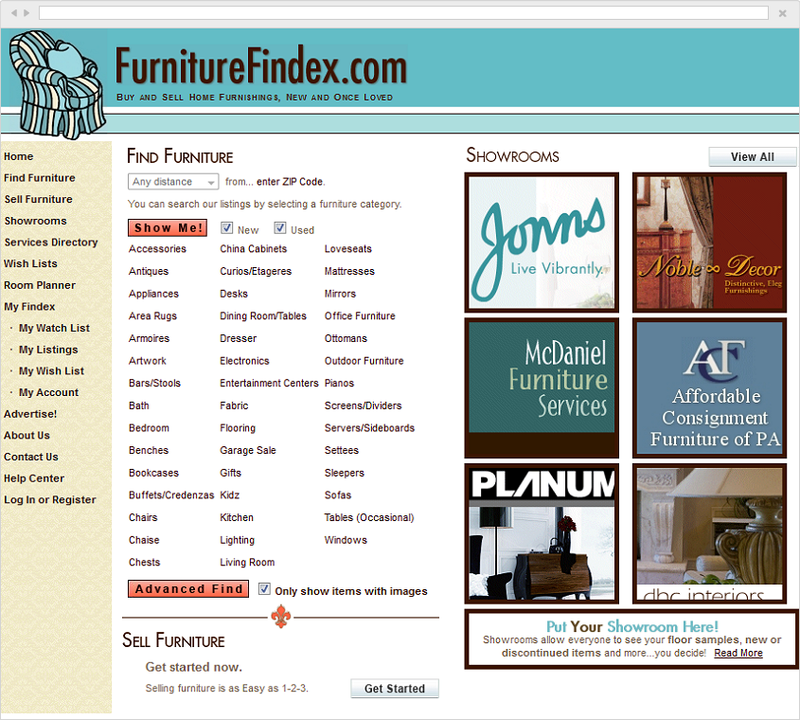 FurnitureFindex.com presents a forum for buyers and sellers of home furnishings, once loved and also features new and new showroom samples. Users can find home-related serviceslocally or regionally. 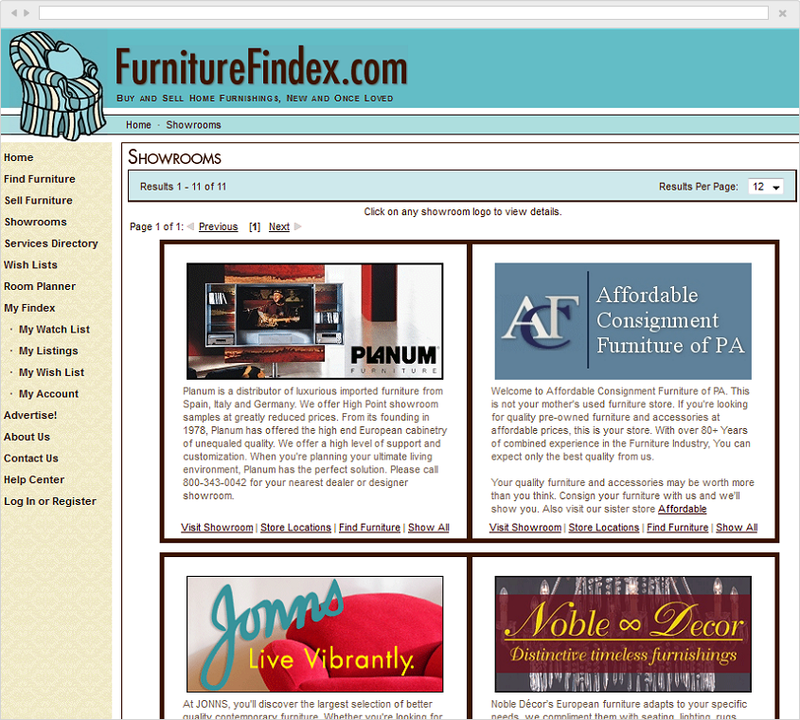 The site was invented and designed by Denise H. Cooperman who has been in the home furnishings industry forover 25 years. 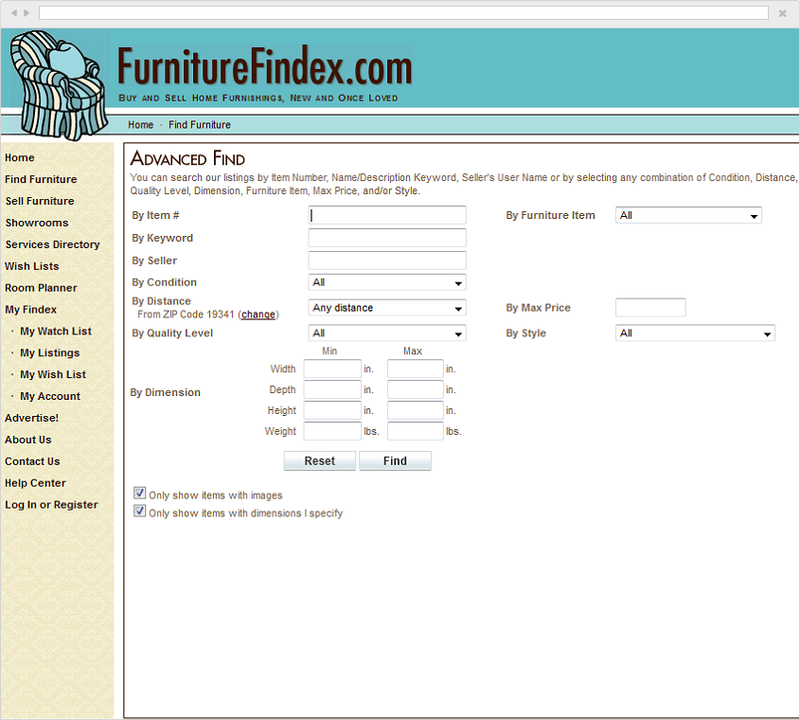 Completely data-driven and user-friendly, the FurnitureFindex web site allows the end user to upload images of the furniture, descriptions, dimensions and so on. The web site mediates communication between potential buyers and sellers for safety. Once the two parties agree, they consumate the exchange outside of the web site. 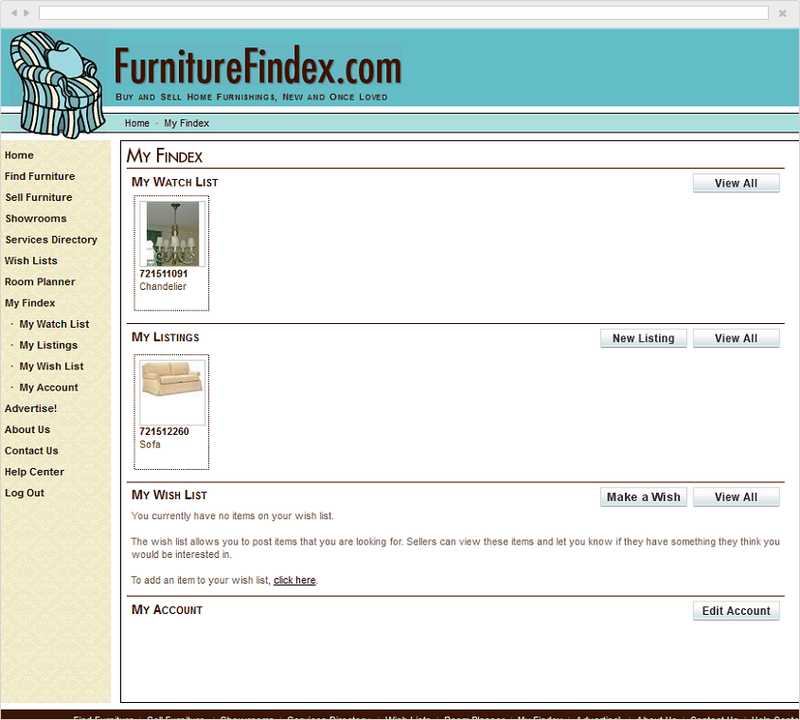 No money changes hands as FurnitureFindex is not an e-commerce site. Instead, it is well-managed bulletin board. It has advanced search capabilties, integration with Google Maps, a customized room planner and private work areas for users. In addition to support for the end-user, FurnitureFindex also offers branded showrooms for manufacturers, retailers and wholesalers. All of the functionality of the web site can be embedded on another web site using frames. For example, see www.dhcinteriors.com as an example. © 2019 - Vega Applications Development, Inc.